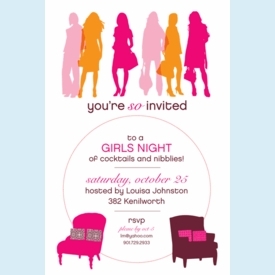 Hip chicks are ready to help you celebrate or commiserate. 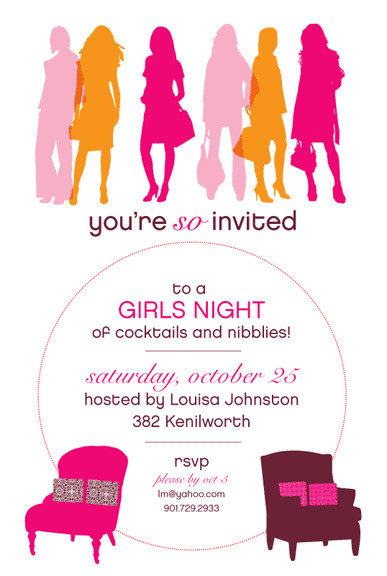 Invite is pre-printed with graphics and "you're SO invited". Add your personalized party info within the circle. NOTE: Only 6 sets left! SIZE DIMENSIONS: 5.5" x 8.125"